Pine bark and ginkgo for tinnitus? A closer look at “Ear Tone”, a supplement marketed to treat tinnitus. 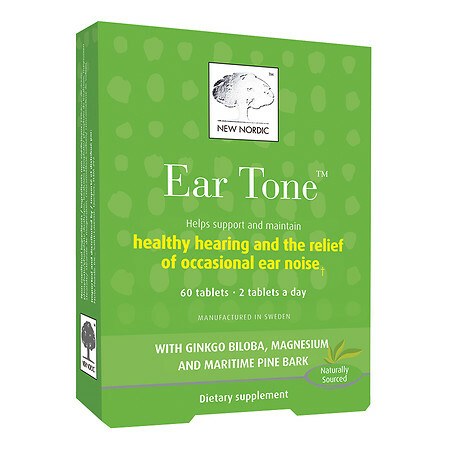 Ear Tone is a supplement claimed to help tinnitus. Does it work? “Why do you bother blogging?” asked a colleague. “You take hours of your personal time to write, and you do it for free. You’re not even getting any citations for all that work.” I admit I found the questions a bit surprising. True, you won’t find these posts abstracted in PubMed. But I’m writing for an entirely different audience. I blog for the same reason that I became a pharmacist: to help people use medicines more effectively. Practicing as a pharmacist is one way to do that. In that setting, you’re helping one patient at a time. And seeing how your advice and support can enhance someone’s care is tremendously gratifying. I see blogging as another form of pharmacy practice, hopefully with similar effects. Yes I do get regular hate mail, and the occasional legal threat, but there’s also gratitude for a post that resonated with someone, or helped them make better decisions about their health. When Google searches don’t give answers, I get questions — too many to answer. Today’s post is based on a request for help from someone seeking advice on natural supplements to treat ringing in their ears. They have tinnitus, and they’re frustrated at the limits of what their physician (and medicine) can do. They sent me an advertisement for a supplement called Ear Tone, a natural health product which is advertised (and approved) to provide tinnitus relief. Can natural supplements do what conventional medicine cannot? There are few limits on what can be legally sold as a supplement or natural health product. There are few limits on the health claims that can be made about these products. There are few, if any, requirements to directly test supplements for safety. There are often no requirements to test supplements for actual effectiveness. Pharmacies and other retailers sell supplements alongside regular drug products, without distinguishing them. The result is a marketplace that is a boon to supplement makers, but puts consumers at a considerable disadvantage. Worse, many health professionals also give supplements a pass, failing to hold them to the same evidence standards as drug products. Pharmacy shelves are becoming the “Wild West” of healthcare, where evidence-supported products are sold alongside those that are either unproven, or even worse, completely ineffective (e.g. homeopathy). Tinnitus is one of those conditions. Tinnitus is the perception of noise when there is no external cause. While it’s typically thought of as ringing, it can also be perceived as buzzing or hissing. Tinnitus is common, affecting up to 15% of individuals, depending on your age. While rarely serious, tinnitus can significantly interfere with quality of life. Tinnitus can be caused by age, loud noise (from construction equipment to loud music), ear wax blockage, and ear bone changes. (Sixties rock icon Pete Townsend is a famous tinnitus sufferer, which he attributes to years of listening to headphones.) Many medications are associated with tinnitus, as can other medical conditions, such as cardiovascular disease. Consequently, every tinnitus case needs to be medically evaluated, to search for any underlying causes and to rule out more serious medical conditions. In some cases a clear cause for tinnitus cannot be found, and it becomes a chronic condition. Reducing the impact and effects becomes the treatment goal. Overall, these therapies are only modestly effective. There is no magic bullet. While numerous vitamins, minerals and supplements have also been tested, there are no studies that suggest that any supplement provides a meaningful improvement. Ear Tone is a new product that is based on new research, showing significant results in treating tinnitus naturally. Ear Tone works by supplying the ear with the right nutrients while promoting peripheral blood circulation. The recommended dose is two tablets per day, which gives a monthly cost of about $30. Do the ingredients in Ear Tone help tinnitus? The limited evidence does not demonstrate that Ginkgo biloba is effective for tinnitus when this is the primary complaint. The second ingredient is magnesium, supplied as magnesium oxide, and according to the manufacturer is included because it “protects the nerves in the inner ear and promotes an electrolyte balance in its hair cells.” While magnesium is an abundant ion in the body, there is no published evidence with magnesium supplements to suggest it protects nerves or promotes electrolyte balance in hair cells. I found a single open-label study of magnesium supplementation and tinnitus published in 2011 that suggested a modest beneficial effect. Given it was neither randomized nor blinded, it’s hard to see this as evidence as efficacy. More studies should be planned to better evaluate the pathology and potential applications of Pycnogenol in a larger number of patients who are currently without a real therapeutic solution. There’s also a 2014 study with Pycnogenol which was a registry — a real-world evaluation that concluded the product may offer benefit in Meniere’s disease and tinnitus. This is nonrandomized, uncontrolled, and therefore unconvincing data. Before we can conclude this product offers actual benefits, it needs to be evaluated in prospective, blinded, and controlled trials. So there’s little evidence Ear Tone works. What are the risks of gingko and pine bark? What about risks? There are few case reports of serious harms with ginkgo or with pine bark, but that’s complicated by poor data collection — since there are few trials and only limited real-world surveillance, the long-term safety is unclear. There is the risk that this combination of products could magnify or interfere with the action of drugs that affect blood coagulation. Its possible effects on other drugs are not well understood. I don’t see enough evidence of effectiveness here to recommend Ear Tone, but ultimately this is a personal decision. Given what we know (and don’t know) about the efficacy and safety, some may decide it’s worth a try, especially if they’re experiencing poor quality of life from tinnitus. If that was my patient’s choice, I’d want to ensure that their other medications had been reviewed for any possible interactions. I’d also encourage any user to try to objectively measure whether or not they experience any relief. From reports online, many have not found it helpful. Helps to reduce the perception of tinnitus in the ears. Helps to support peripheral circulation. Health Canada has concluded the product is effective despite the fact that there is no published evidence suggesting this particular combination of ingredients has even been formally tested. This is the double-standard for supplements at work — approval from the regulator without the requirement to actually test your product for safety or effectiveness. What’s the bottom line for consumers with tinnitus? Tinnitus is an often-chronic condition for which we lack a good understanding of the causes and treatments. While there are some therapies that can help minimize symptoms, there are no cures. Despite the hype, the anecdotes, and the marketing, there are no supplements for tinnitus that have been shown to offer any meaningful benefit. It would be wonderful if there really were a magic herb (or combination of herbs and minerals, like Ear Tone) that you could grind up, put in capsules or tablets, and expect relief. But that’s not realistic. This doesn’t stop manufacturers from making claims, or regulators like Health Canada from agreeing, that products like Ear Tone are “effective” because they’ve squeaked over a lowered evidence bar for natural health products. Learning there are no easy solutions or cures for tinnitus can be difficult to accept, especially when tinnitus significantly impairs your quality of life. Supplement marketers know this all too well, and will likely continue to market unproven supplements for tinnitus that lack good evidence of efficacy. The “right nutrients” for the ear? And how would this differ from the “right nutrients” for the nose”? Oh well, as long as it’s “natural”. Amazing! Only one comment? Well, I have a few. I have to disagree with the statement attributed to to Novella that “There are few limits on the health claims that can be made about these products.” There are plenty of limits, as a read of the Dietary Supplement Health and Education (DSHEA) act will show. No product may portend or claim to treat or prevent disease. As for extracts of Ginkgo biloba having “no clear evidence that ginkgo is effective for any medical condition”, with at least 2 randomized, double-blind, placebo-controlled trials in the treatment of premenstrual syndrome showing significant benefits, I have to disagree. Incidentally, ginkgo leaf extract is the main product used in China’s long-term care facilities to manage dementia. Of course, that doesn’t mean it’s effective. As for the Health Canada, the division overseeing dietary supplements was set up by a naturopath, which would explain why such flimsy evidence is all one needs to legally market Ear Tone. It may also explain why so much of the information on Health Canada’s web site concerning herbal products is outrageously unsupportable. I have written them with complaints in the past to no reply or avail. It will be difficult for me to stay calm when I finally do reach them to voice my disdain at their utter lack of competence, but I will give it my best. Thanks again for all your science. I have a friend who buys (and buys into) every naturo-fad nonsense he sees on television. We argue constantly and you are a good resource for me. I’ve suffered from tinnitus for 5-6 years now and nothing works. I’ve been to an ear/nose/throat specialist who said there isn’t much that can be done. He explained the airways within the ear, which, if altered, produce the hi-tone pitch I hear in much the same way altering airflow on a musical instrument changes pitch. We’ve decided it is born of my habit of clenching my teeth at night. Over the years I’ve likely changed (slightly) the configuration in my inner ear. Sometime when I wake up it actually hurts to open my mouth fully so I believe it. Also when I press on my jaw and the top/back of my head simultaneously, the noise stops, only to resume when I let go. So I’m certain this malady is cause by a structural problem. One does learn to live with it, but it’s annoying as hell. Especially when trying to fall asleep, because the pulse of the blood moving thru my ears causes the noise to fluctuate with the pulse of the blood. Aarrgghh. All the best. Keep the science flowing.